The use a tablet with long battery life will give you more time to work, surf the web, play games and watch movies. Here is a list of tablets with the longest battery life available today. All of them have a minimum operating time of 10 hours of continuous testing with Web surfing over Wi-Fi with screen brightness set to 150 nits. 15 hours: That&apos;s the kind of all-day battery life people have been dreaming of since forever. 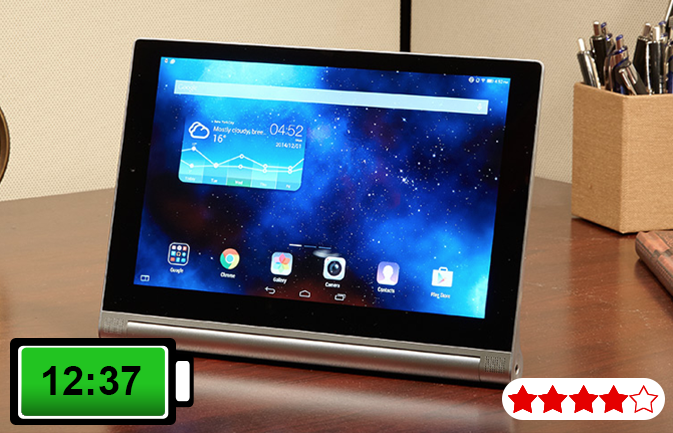 Lenovo&apos;s Yoga Tab 3 has it, and as such, might be the best mobile media tablet on the market. 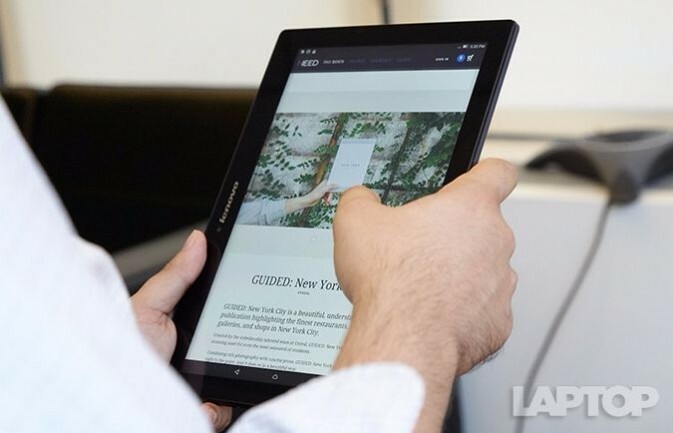 Its 8-inch screen is relatively bright, and Lenovo&apos;s tablet even comes with a built-in kickstand. The extra-large battery results in a bigger-than-normal design, and the Snapdragon 212 processor can feel a little lethargic at times, but if you&apos;re all about watching movies and surfing the Web, the Yoga Tab 3 can go all day. 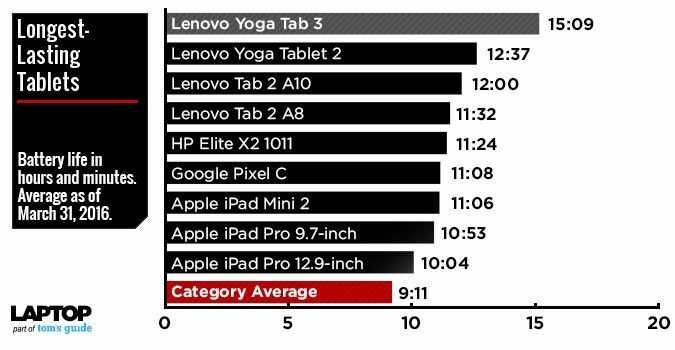 The 12 hours and 37 minutes of battery life is a good reason to love the Lenovo Yoga Tablet 2, but it&apos;s not the only one. This 10-inch Android 4.4 KitKat tablet sports a built-in kickstand and curved edge that allows you to use the tablet in multiple modes. The front-facing speakers positively boom audio at you, and the $269 price tag is nothing to sneeze at. Plus, on the software front, Lenovo adds a quick-settings menu called Bottom Switch, which gives you easy access to various settings. 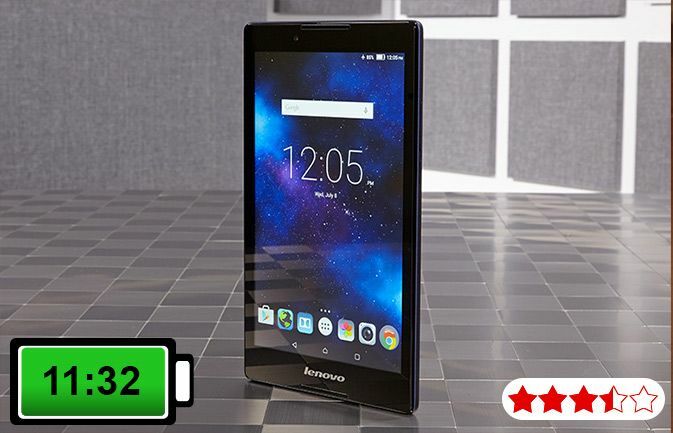 The epic 12 hours of endurance from the 10-inch Lenovo Tab 2 A10 is just the beginning of what we loved about this tablet. The Editors&apos; Choice winner also sports a beautiful display and an attractive shell, and it only costs $179. We also appreciated its strong performance overall. 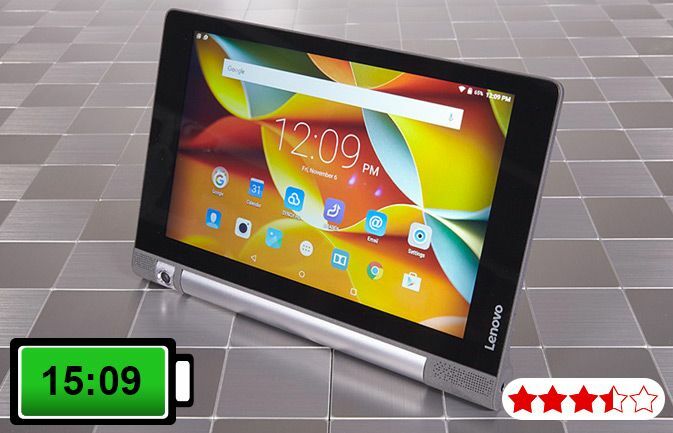 Judging by the low $129.99 price tag on the Lenovo Tab 2 A8, you probably wouldn&apos;t expect to see it on our list of longest-lasting tablets. That&apos;s all the more reason its 11-hour-and-32-minute battery life is both memorable and impressive. Running a close-to-stock installation of Android 5.0 Lollipop, the device also features a very bright HD (1280 x 800-pixel) display that&apos;s great for watching videos and browsing the Web. The 11.6-inch HP Elite X2 isn&apos;t only a tablet. It can also function as a laptop, if you attach the keyboard. The keyboard has its own battery, which helped this device last for a whopping 11:24 on a charge. This 2-in-1 can take a beating, it comes with some extra security features, and it sports a bright and accurate screen. 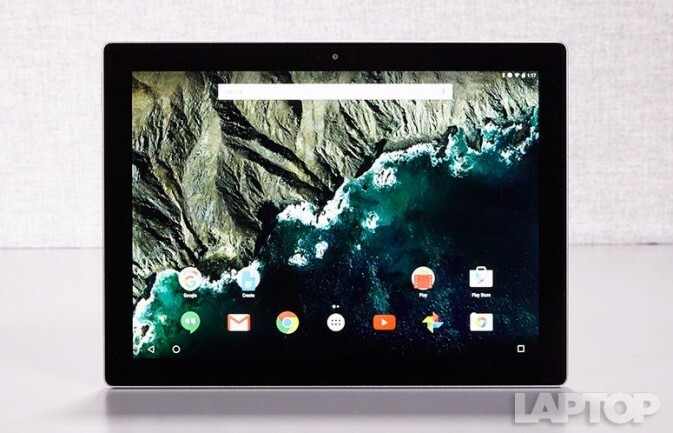 Google&apos;s 10.2-inch Pixel C features a powerful Nvidia Tegra X1 processor and a brilliant display, and it lasts a phenomenal 11:08 on a charge. Add the $149 keyboard to make it more productivity friendly. Android 6.0 isn’t the most productivity-friendly OS, but this tablet has serious staying power. 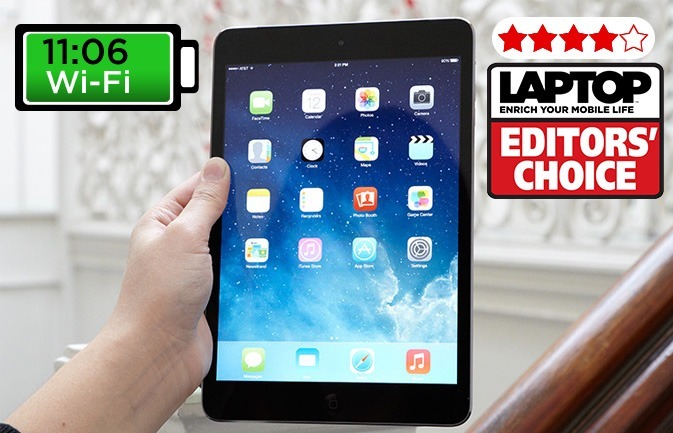 Apple&apos;s iPad mini finally has a Retina display, and it&apos;s just as good as you&apos;d imagined. But what you may not have expected from this iOS 7-powered slate is that it would get a crazy long 11 hours and 6 minutes of battery life over Wi-Fi. Like the iPad Air, the iPad mini with Retina display features Apple&apos;s new 64-bit A7 processor, making this one screaming fast slate. 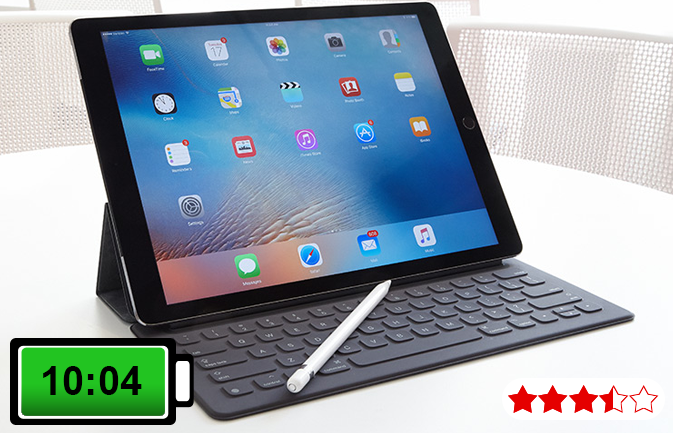 While many Windows tablets and 2-in-1s sacrifice endurance for power, the iPad Pro offers a better balance of battery life and speed. This 12.9-inch slate lasted for more than 10 hours on the Laptop Mag Battery Test. The iPad Pro isn&apos;t cheap, and it won&apos;t replace your laptop, like a Surface can. But the iPad Pro&apos;s A9X processor; crisp, 5-million-pixel display; and optional Apple Pencil and Smart Keyboard make it a versatile device that can go the distance. As our favorite overall tablet, the 9.7-inch Apple iPad Pro has a lot going for it. Not only does it feature a stunning True Tone display in a sleek design (now in Rose Gold), but it also lasts for 10:53 on a charge. The 12-MP camera is particularly impressive, due to its ability to shoot 4K video. 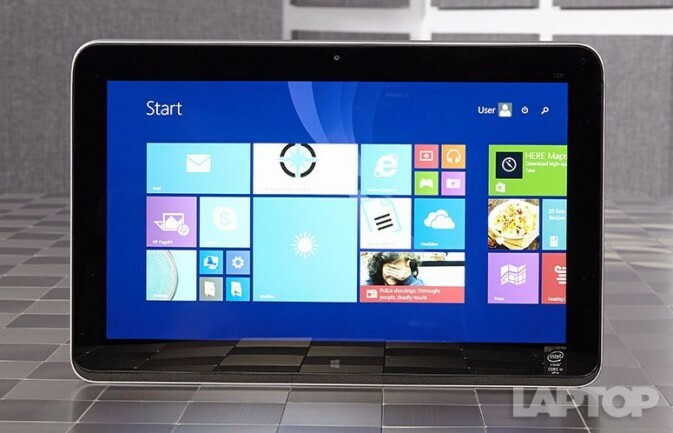 The A9X processor inside is powerful enough to edit those clips, making this a pretty powerful tablet. We hope that Tablet reviews above will provide useful information for you to choose a good tablet.